Have designer boutiques, upscale restaurants and fine art galleries right at your feet when you move into one of Minto Yorkville Park’s Yorkville Collection of suites. The one and two bedroom units are located in the building’s podium –although contemporary in design, its materials, finishes and size were inspired by the 1920s art deco era. Suites in the Yorkville Collection are characterized by open-concept layouts, custom built kitchen islands, paneled appliances, Caesarstone countertops with polished edges, matte woodgrain or solid colour cabinets and bathrooms with frameless glass showers, deep soaker tubs and luxurious gold faucets. 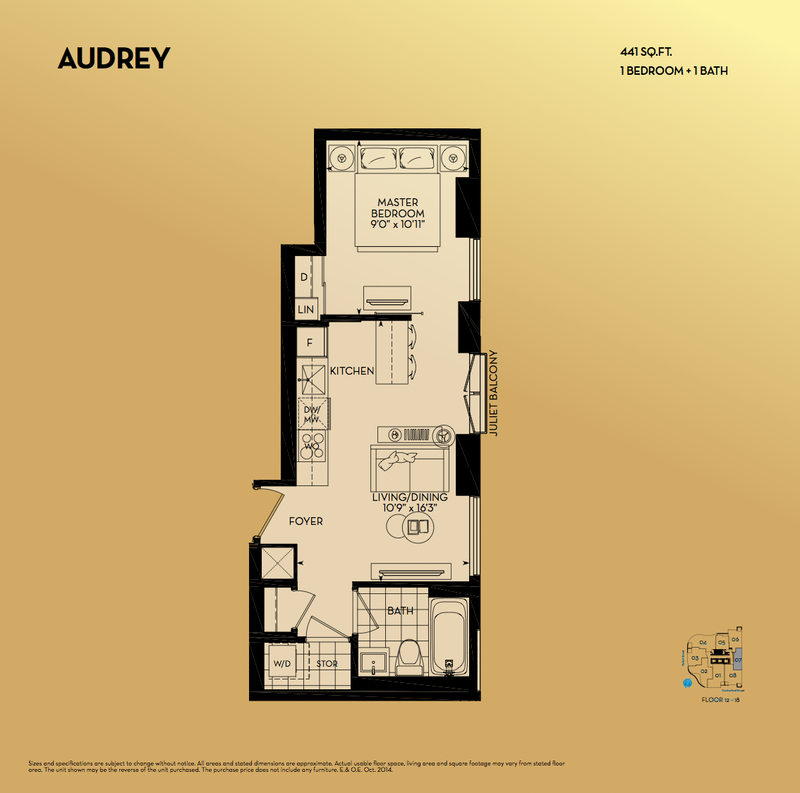 At 441 square feet, the Audrey is the smallest suite in the collection. It offers one bedroom, one bathroom, a Juliet balcony and ample storage. For those looking for a bit more living space there’s the Florence, a one bedroom plus den unit with a spacious balcony. The den could serve as an office or media room and the master bedroom includes a walk-in closet. 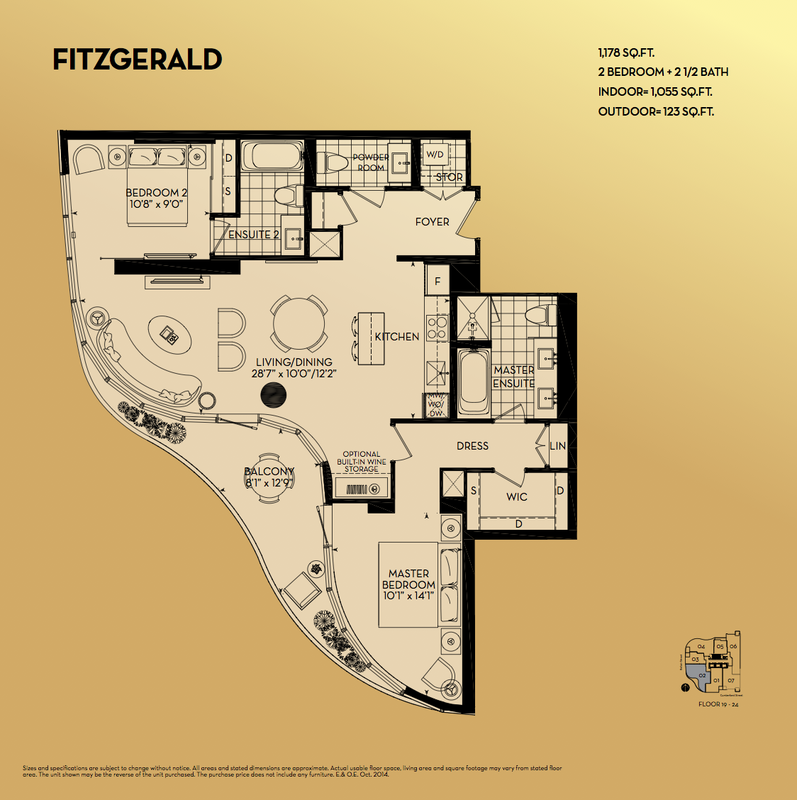 The Fitzgerald is the largest of the Yorkville Collection at 1,178 square feet. 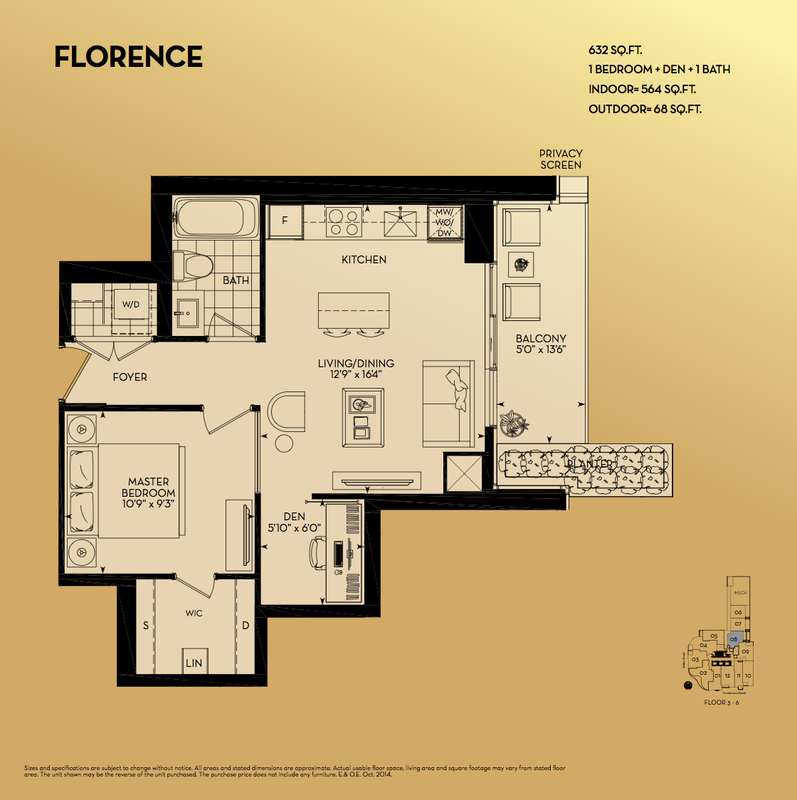 With two bedrooms and two and a half bathrooms, the unit includes a curvaceous balcony, optional built-in storage and a separate dressing area. For a limited time, buyers who choose from the Yorkville Collection of suites can take advantage of one year of free maintenance and property taxes or a $7,500 design centre bonus. Minto Yorkville Park offers an array of exceptional amenities to pamper and entertain its residents. The gold-adorned lobby is serviced by a 24/7 concierge who can assist with tasks to help you stay organized. 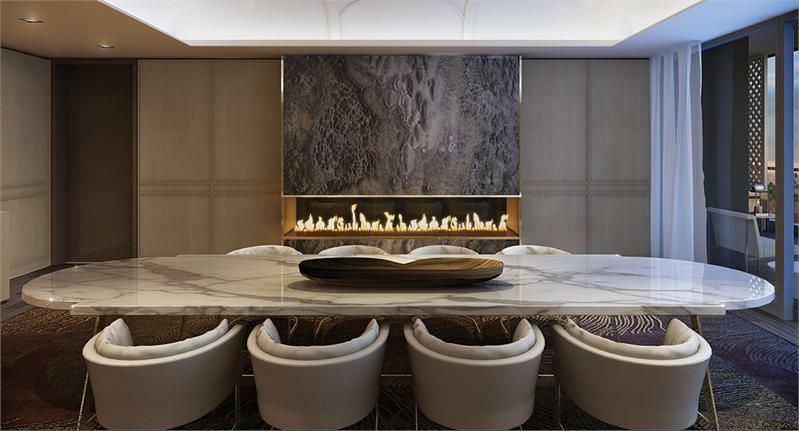 The second floor Yorkville Lounge features a fireplace, private dining room, catering kitchen and lounge seating. The state-of-the-art fitness centre offers cardio and weight training equipment, a personal training area, spin and stretch rooms. The seventh floor rooftop terrace is perfect for outdoor entertaining, with a firepit, artful landscaping, comfortable lounge seating and a covered living and dining room area. 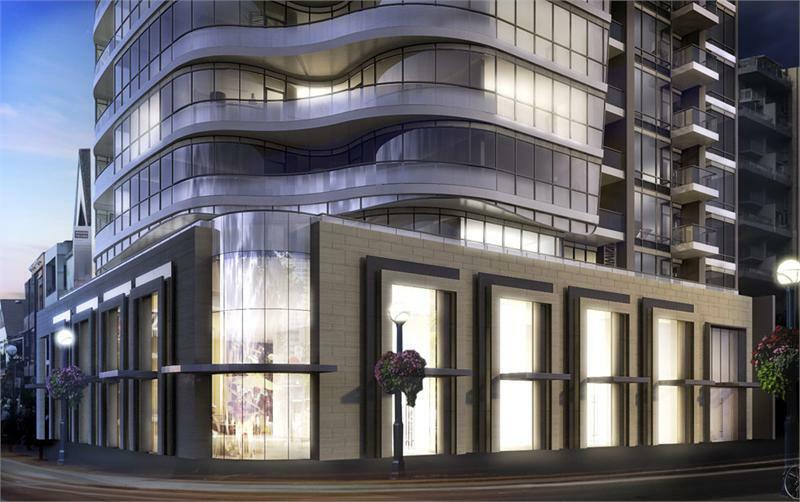 With a Walk Score of 100, Minto Yorkville Park is slated to become one of the most sought-after addresses in Toronto. Residents will be close to every urban amenity — go for a drink at One Bar at the Hazelton Hotel, visit the flagship store of Holt Renfrew or check out an exhibition at the ROM. Plus, there are two TTC stations just minutes away on foot, making it easy to navigate the entire city. Minto has more than 60 years of experience in real estate development. To date, they have built over 70,000 new homes. In both 2012 and 2014 they were awarded the Ontario Home Builder of the Year Award by the Ontario Home Builder Association. Be sure to visit the Minto Yorkville Park sales centre at 94 Cumberland Street from Monday to Wednesday, noon to 7pm or on weekends from noon to 5pm.